In plodding through my second novel, I’ve had to garner a very close relationship with a reader’s expectations. They always have them, persistent through the narrative. It’s like you’re saying “Follow me. Follow me,” and the reader decides to take your hand. If you stop, tell her you’re in a forest instead of on a sand-dune, yell “Fooled you!” or just jerk her arm too hard, she’s not going to be pleased. She’ll probably follow somebody else and not trust you next time you call from the bookstore shelf. She might even “un-follow” you on Twitter, which as I understand things is, to the latest generation of teenagers, what a punch in the face was to all previous. That doesn’t mean you should fulfill the expectation. Quite to the contrary. Smeg. Those sound like some truly boring books. China Meiville, the only author (so far… grrr…) to win three Arthur C. Clarke awards, says something quite different: “My job is not to give the readers what they want, but to make them want what I have to give.” That seems a far more ambitious task, and if you want to write interesting, award winning work, you’ll need to take on the bigger challenges. China points to a deep understanding–one of making your work impact upon the reader. He’s also speaking in terms of a very broad concept. If you’re a regular reader, you’ll know that my tendency as a teacher is to boil those down into something you can actually use. It was John Steinbeck and Graham Greene who taught me most about readers’ expectations in the narrative. 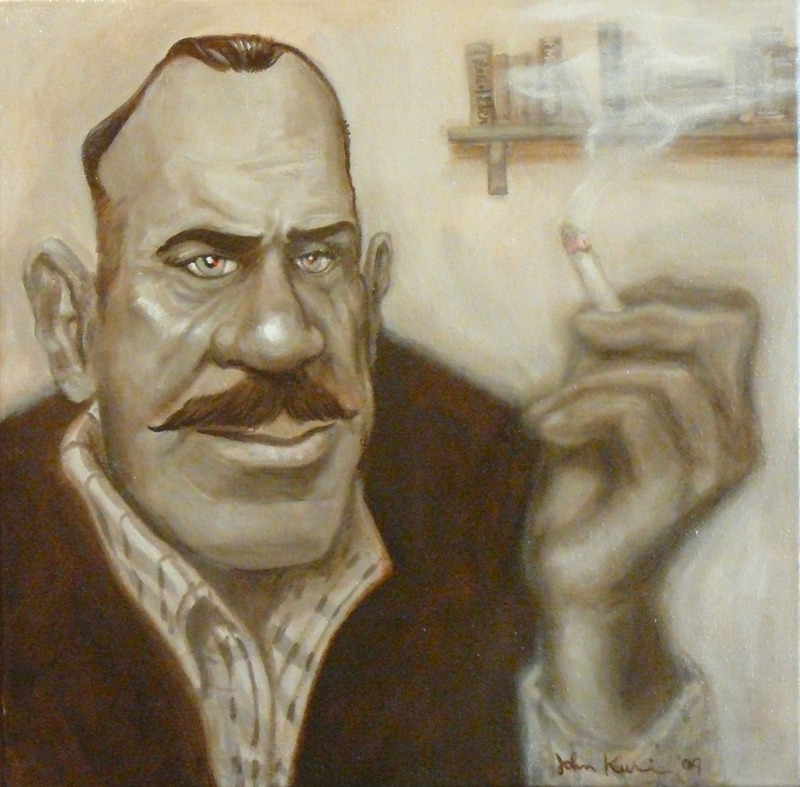 For a little reading exercise, you might take a look at “The Moon is Down” by John Steinbeck. I choose it here because it’s like 100 pages long. Each character is introduced with just a snippet of exposition, enough that you feel familiar before they start talking. Now look at how every piece of dialogue fulfills that sense of familiarity, and even makes you savour the exposition at the start. It’s so constant, they would have felt like caricatures of themselves had Steinbeck done things poorly. Again, ambitious tasks are the hardest, but they pay off the most. People’s minds work along with the story, even on an unconscious level, and as a writer it’s your job to understand what they’re thinking and feeling. Try to think from the reader’s perspective. You’re trying to manipulate their imaginations. When I taught formally I used to, at this point, get my students to pick a short story from their favorite author. If that author didn’t write short stories, I’d say “Use your second favorite. You get the idea.” Now make yourself conscious of your expectation. Write it down as you go. Again, your primary focus should not be on the logic. Write what mood you’re in, what you expect to feel next. Try to articulate why (there’s the logic part). Now, write a scene, the start of a piece. A shorter piece will work far better, here. You’ll naturally use those same senses you’ve exercised. Once it’s written, do the same reading analysis exercise as before. In class I’d get students to do each others’ too, of course. The internet can’t quite achieve the same thing, but find a writer friend or even post in the comments below. I know some good online communities and some other subscriber might even want to correspond. Senses need a lot of exercise, both in study and practice. Don’t expect perfection right away. It’s like a musician improving their aural skills. They listen to music and keep it in mind, try to hear the notes. Do the same with your reading. Rinse. Repeat. Read and write until your pre-conceptions explode, messily, and new, better ones take their place in your mind. That last bit is where the post’s title becomes a pun. See what I did there? See? That’s an example of doing things poorly. I didn’t maintain your expectation so the reference came out of nowhere and just looked stupid.